We have hundreds of great trees this year! 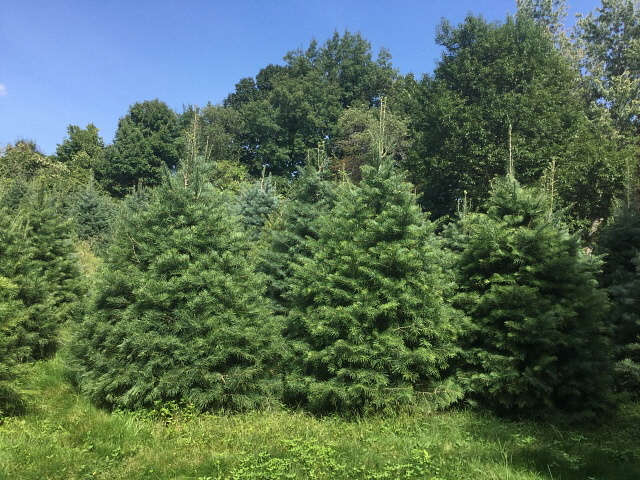 We are a choose and cut farm, allowing our longtime and new customers to take part in the special family tradition by cutting down their own tree! We offer tractor rides up and down the hill, as well as complimentary hot chocolate and zucchini bread inside of our heated barn. Whether it is your first time visiting our farm or we have long been part of your family tradition, we look forward to you being a part of ours! Feel free to visit the farm during normal business hours... we love our customers! Concolor firs have longer needles and hold ornaments nicely. They also have a pleasant orange scent... people love them!